SAN LUIS OBISPO, Calif. — (August 1, 2016) — The inaugural, sold-out SLO Ultra presented by VisitAvilaBeach.com, set for Saturday, September 10 at Wild Cherry Canyon, will present on Thursday, September 8th in downtown SLO, the 2016 Trails in Motion Film Festival. Joining the celebration of trail running and hiking, hosted by local event producers Race SLO, will be famous ultra athletes and film stars: Krissy Moehl (Mile for Mile), Caroline Boller (This is Your Day) and Noah Cass (Last Time I Heard True Silence) as well as director Myles Smythe (This is Your Day) and world famous athlete photographer, race director and storyteller Luis Escobar. Festival proceeds will benefit The Land Conservancy of San Luis Obispo. VIP Admission (100 tickets available): $45, Doors open at 5:30pm — Fremont Theatre, 1035 Monterey St, San Luis Obispo, CA 93401. Includes pre-screening wine, beer, appetizers and meet & greet with featured athletes and director. 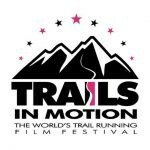 Tickets are on sale now for the 2016 Trails in Motion Film Festival in Endurance Town USA. 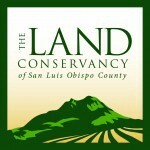 Proceeds to benefit The Land Conservancy of San Luis Obispo. The inaugural SLO ULTRA event, hosted by HomeFed and produced in partnership with The Land Conservancy of San Luis Obispo, has sold out with 1,200 entrants. Race SLO’s unique new trail event features four challenging trail run and hike courses — 50 mile ultra, marathon, half-marathon and five mile hike — starting in the pristine Wild Cherry Canyon of Avila Beach on Saturday, September 10, 2016. Visit www.SLOultra.com for more event information including purchasing Rib Line BBQ tickets at the Finish Line Blue Grass Festival or to register for the 2017 event.